APPROVED, to use the following Family Ministries Department Working Policies. "The restoration and uplifting of humanity begins in the home…The well-being of society, the success of the church, the prosperity of the nation, depend on home influences. "—The Ministry of Healing, p 349. The broad principles found in the Scriptures and expressed in the counsels of Ellen G White, provide the basis for the ministry to families promoted by the Seventh-day Adventist Church. The Family Ministries Department recognises the significance of family in the lives of believers and non-believers alike. It endeavours to strengthen the home as a disciple-making centre where family members through their interpersonal relationships are encouraged in their relationship with Jesus Christ and His Church, and where the relational skills necessary for emotionally-healthy relationships and winsome witness are developed. It helps individuals build and maintain warm, intimate ties with God and family that meet the yearnings of the human heart for connectedness and gives life, purpose and meaning. It recognises that healthy Christian families make strong members of society and the kingdom of God. The department endeavours to keep in perspective both God’s ideals for family living and an understanding of the brokenness experienced by individuals and families in a fallen world. Thus Family Ministries calls individuals, married couples, and parents to stretch toward divine ideals, while at the same time extending the redemptive, healing ministry of Christ. Efforts on behalf of families are held to be urgent, vital, and integral to the message and mission of the Church. 1. To proclaim the reviving and restorative message of the everlasting gospel within the context of family living. Christ is and must be acknowledged as the Saviour and Head of every home. In Him, family members are at peace with God and at peace with each other. As they are drawn near to Him they are drawn nearer to each other, in love, forgiveness, reconciliation, restoration, and renewal. 2. To affirm and strengthen every Seventh-day Adventist family as a primary discipling unit. Family Ministries seeks to deepen understanding of the relational dimension of being and making disciples and to strengthen family members as disciple-makers within the family. A married couple is viewed as the primary unit of the family. The department seeks to provide couples and families with access to educational, enrichment, and counseling opportunities to enhance the development of the relational skills necessary for the effective discipling of one another and growth toward vibrant Christian marriage, parent-child and extended family relationships. 3. To enable parents and families to increase the likelihood of successful transference of Seventh-day Adventist values to the next generation. 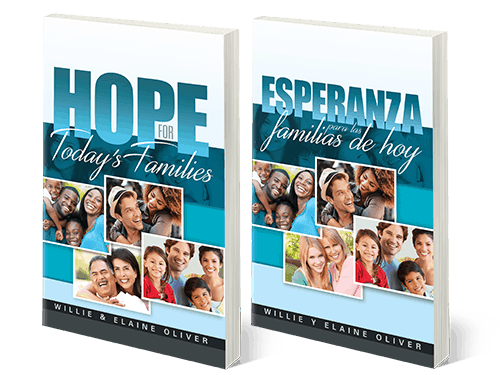 Family Ministries develops materials and provides learning opportunities within church and family settings designed to enable parents to make biblical values winsome to their children and youth. The department encourages an atmosphere within homes and churches which promotes questions and on-going discussion regarding Christian values and tenets of faith among parents and children, young and old, leaders and members in an effort to foster the development of mature faith. 4. To create a “family of God” experience in every Seventh-day Adventist Church. Family Ministries fosters an atmosphere which respects and celebrates diversity within congregations and within the world Church, recognising that unity is not found in uniformity, but in Christ, the Head of the body. Through a shared commitment to a common message and mission and a reciprocal openness, honesty, and vulnerability in relationships with one another, the oneness we have found in Christ may become a reality in experience. 5. Family to Family. To empower families for winsome witness. Beyond the priority placed on the home as the most important mission field, Family Ministries helps families to discover and utilise their spiritual gifts in the community around them. The department encourages and enables families to relate in winsome ways and to share Jesus with non-believing family members, neighbours, and friends, as they support the Church and its mission outreach through their prayers, offerings, and service. Family Ministries seeks to widen the Church's understanding of families beyond a mere collection of individuals to see the family as an intricate, dynamic system of relationships. The focus of Family Ministries is upon growing emotionally healthy relationships—beginning with the pastor's family and expanding outward to touch ever-enlarging circles. Thus this ministry concerns itself primarily with relational dynamics rather than the needs of individuals per se. The basic target areas of emphasis for the Family Ministries Department are premarital guidance, strengthening marriage, parent education, and general family relationship education with attention also given to the unique relational needs of extended families, single parents, step-families, and singles. 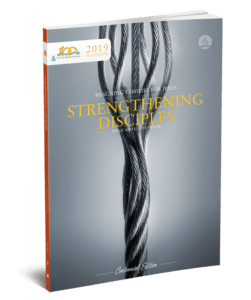 The development of relational skills fostered by Family Ministries empowers young people, singles, and families and enriches relationships both within the home and within the Church, the household of faith. The overarching ministry objective to enable the family as a discipling centre pervades all of the departmental activities and is expressed as well in a unique approach to evangelism which brings together both an understanding of the disciple-making process and an understanding of families and how they function. The curriculum framework upon which leadership and resource development are based includes eleven major areas: theological foundations, family and mission, families in society, marriage and family dynamics, interpersonal relationships, parent education and guidance, human growth and development, human sexuality, family ethics, family resource management, and family ministries programmes and implementation. FF 15 05 Methodologies— Three broad categories define the methodologies best suited to the ministry to families facilitated by the department: education, enrichment, and counseling. The pastor is key to the success of the ministry in all three arenas. 1. Education— Substantial revelation concerning the divine purpose for families has been given. Practical principles that govern family relationships are found in Scripture and the Spirit of Prophecy. In the preparation of resources for family life education, the department centres its research and study on these primary sources and seeks to integrate biblical principles with helpful understanding and methodologies from other compatible mental health, behavioural, and social science sources. 2. Enrichment— The department prepares resources and develops leadership in enrichment activities—experiential programmes for married couples, families and singles groups which enable participants to make relational gains together through sharing and interacting in various events and activities. Enrichment focuses directly on the family or group as a system in a process of enhancing relationships through better communication, deeper understanding, and an improved ability to resolve anger and conflict. In the absence of extended family, enrichment groups can function as a surrogate family. When enrichment activities are conducted among individuals who are part of the same local church, a spirit of community, support, and cooperation may be developed. 3. Counseling— The crucial role and importance of the counseling profession in the lives of troubled families is recognised and appreciated. Many individuals and families are in such critical need as to require specialised work that is particularly tailored to assist them in resolving short or long-term personal or relational crises and difficulties. The department encourages the referral of such individuals and families to professionally qualified counselors wherever possible. While the training of counselors is not within the purview of the department, it is recognised that the content and process of leadership development provided by the department may be useful to pastors and others who may be called upon to counsel. However, the limitations of pastoral and lay counseling must be fully recognised and appropriate caution taken. FF 20 05 Staffing— Family Ministries is administered by a Director with associate director(s) who are appointed on the basis of their expertise and experience in caring for the responsibilities encompassed by the work of the department. In their leadership, the Director and associates will provide the perspectives of men and women, husbands and wives, fathers and mothers, and will model growing, healthy family relationships. Because of the nature of the dynamic within families and the content and mathodologies of Family Ministries, it is recommended that the staff of the department include at least one husband wife team. FF 20 10 Division Advisories— The department director and associate director(s) work in harmony with the General Conference administration under the authority of the General Conference Executive Committee. Division directors of Family Ministries constitute a valued World Advisory Council for the department responsible for long-rang planning. In addition, an Advisory Committee compromised of the Family Ministries department director, associates, General Conference administrative representation, representatives from related General Conference departments, and selected non-General Conference family professionals affords a support group for counsel and intermediate-range planning. Regular staff meetings with representation from General Conference administration care for routine decision-making and operation of the department.